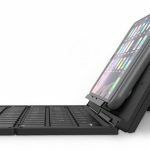 One of the things that stop us from typing out longer documents on our mobile devices is the absence of a larger physical keyboard but Microsoft’s new Universal foldable keyboard can go with you anywhere and even switch between two devices. 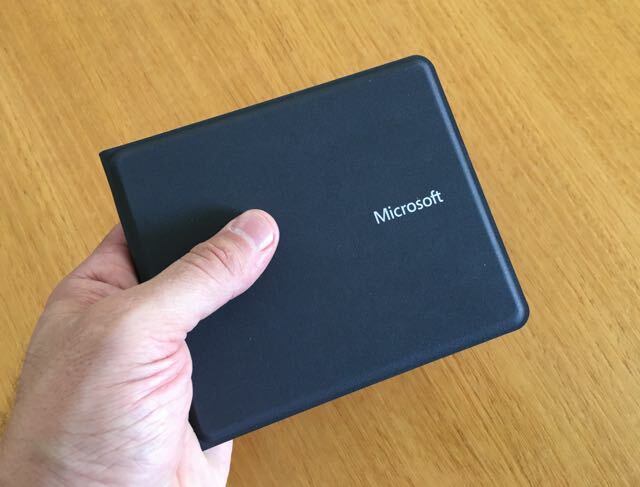 The Microsoft Universal Foldable Keyboard looks like an oversized wallet that’s about the size of a CD case. 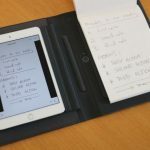 It’s small enough to fit in a purse, a bag or a large pocket and handy whenever you want to write out a longer email or document on your smartphone or tablet. 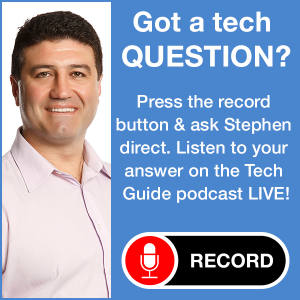 It can pair with Windows, Android and iOS devices (iPhone and iPad) via Bluetooth 4.0 and can link to two devices at the same time. And you can easily switch between the two at the press of a button. 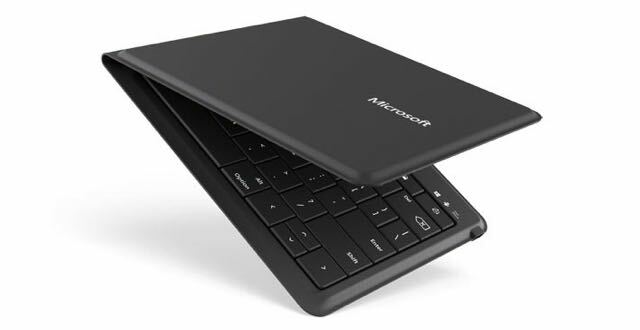 When it is unfolded the Microsoft Universal Foldable Keyboard turns on automatically. 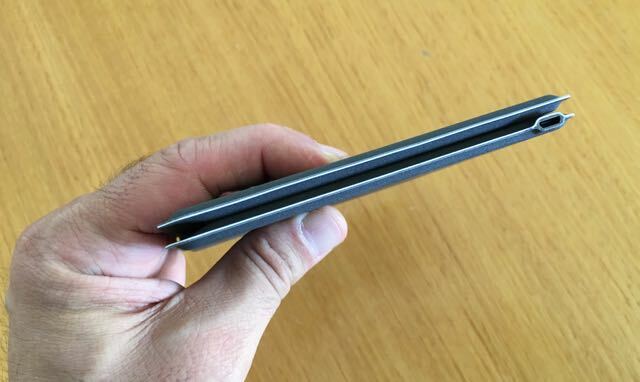 It is 29cm wide and only 5mm thick with a six row keyboard that’s not quite full size but not far off it. 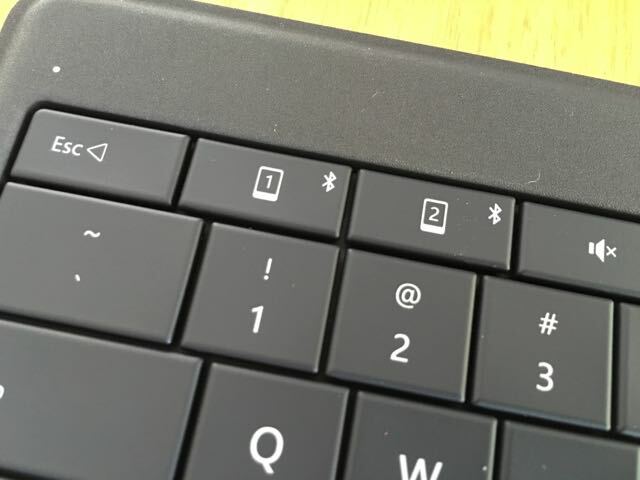 There is a large gap down the centre of the keyboard – this is where the keyboard folds in half. It’s not too hard to type around this space even if you’re a two finger typist. It’s even better if you’re a touch typist because each hand occupies one half and would never need to cross over. 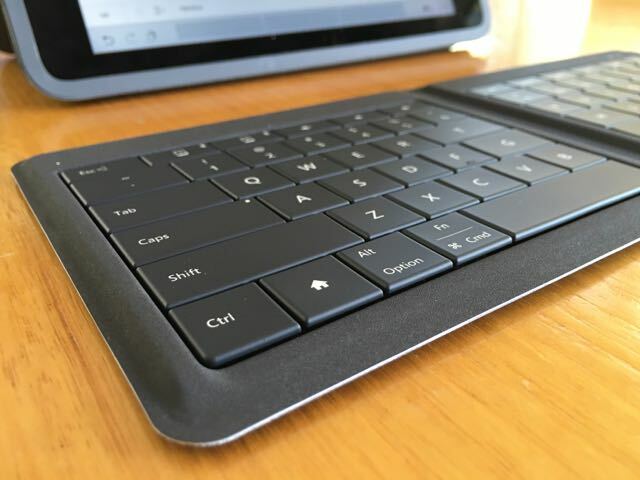 It has the same look and feel of the cover keyboards for the Surface tablets. There’s no space between the keys but they are just as tactile. 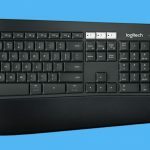 There are also dedicated function keys like a home button, lock key and multimedia control buttons as well. We tested it with a Samsung Tab S2 tablet and an iPad Air 2 and had different experiences with either one. On the Samsung tablet it paired fine but every time the tablet went to sleep it would lose the Bluetooth link to the keyboard and we would have to pair it from scratch each time. Not ideal but we didn’t know who to assign the blame – the keyboard or the tablet. 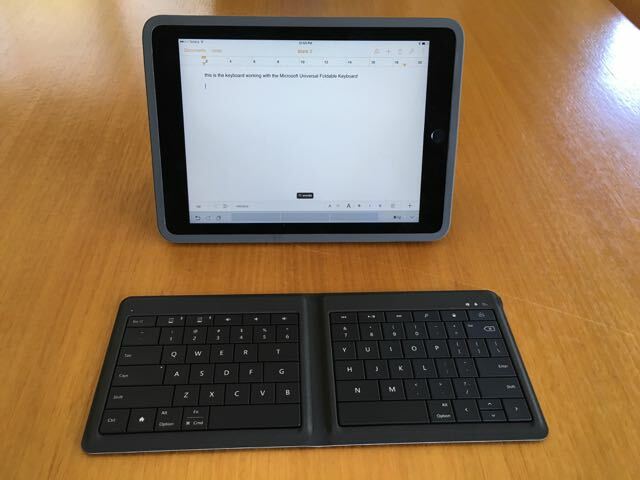 When the Microsoft Universal Foldable Keyboard was paired with the iPad Air 2 it was a lot better. Even when the iPad went to sleep we could type in our passcode on the keyboard and we were right back where we left off. 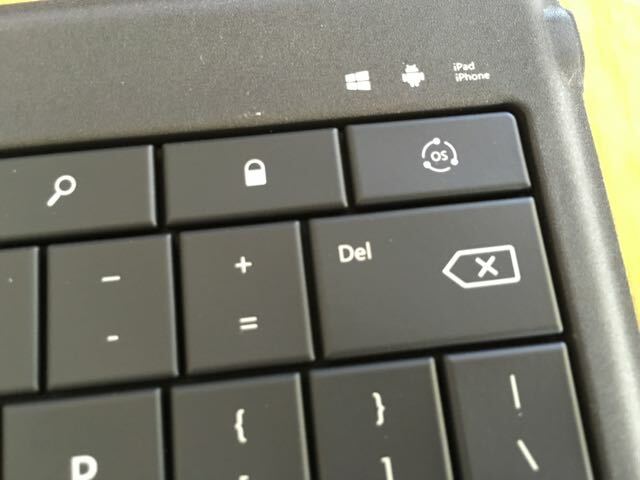 One other thing that annoyed us was the fact the lock key – which locks the smartphone or tablet it is paired with – is located close to the delete key and it wasn’t uncommon to lock the device when we only meant to delete a mistake. When you’re done, simply fold up the keyboard and it will turn off automatically. The Microsoft Universal Foldable Keyboard is made from water repellent material and fabric so it can handle the spills when used on the go. There’s also a built-in rechargeable battery that can actually last for up to three months on a single charge. 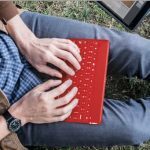 The Microsoft Universal Foldable Keyboard is a handy accessory to have with you to unleash the power of your smartphone or tablet when you need to write that email, edit that proposal or reply to your messages. 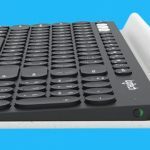 It has an impressive keyboard that’s easy to type on and just as easy to fold up and carry with you.